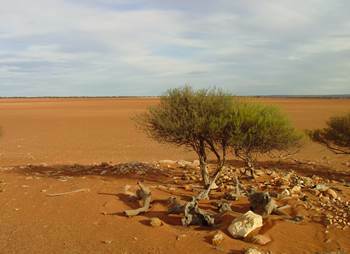 Water supplies in Australia are already scarce, with some areas relying heavily on water from only one or two sources. A recent study at the University of NSW has shown that our drinking water supplies are highly vulnerable to circumstances of extreme weather. While a single weather related event such as a drought can have a significant impact on our water supplies, it is more the combination of events such as a drought followed by a fire and then a flood that plays the most havoc. For instance, if a flood occurs after a large bush fire, more water than normal enters our water supply catchment areas. This large amount of water washes ash, phosphorus and debris into the water supply, which in turn causes issues for the treatment plant as it cannot cope with processing the increased volume of water. Since the study’s report has been publicised, many areas are looking into using desalination plants to reduce their reliance on their main water sources. Unfortunately the cost is hugely prohibitive, but is it worth it? For more information about how Australia’s water supplies are at risk, please see the full Sydney Morning Herald article here (will open in new window). Find out the current water levels in Perth dams. We’ve been a leading bulk water cartage company for Perth and WA since 1994. Specialising in bulk quantities of demineralised, potable and raw water. Please call (08) 9410 1726 with any inquiries or use our contact form.